A Muslim hate group has distributed leaflets at leading London universities and on public streets calling for moderate Ahmadiyyahs to be killed, bringing Pakistani sectarian hate on to the streets of the UK capital. 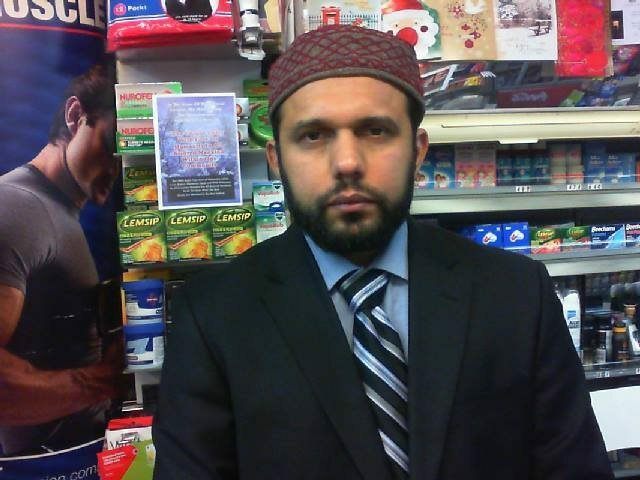 The revelation follows the brutal murder Asad Shah, an Ahmadiyya Muslim from Glasgow, Scotland who had wished his “beloved Christian nation” and happy Easter hours before being stabbed dozens of times in the chest. 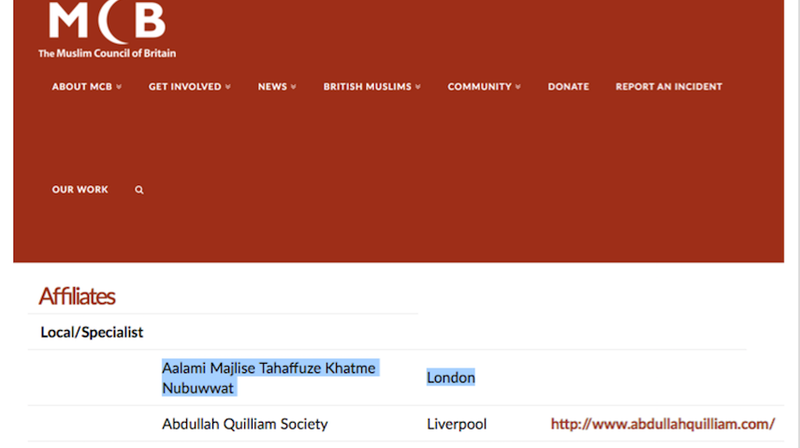 The organisation responsible for the literature, Khatm e Nabuwat, is an explicitly anti-Ahmadiyya hate group, which is affiliated to the Muslim council of Britain (MCB), the UK’s “largest national representative of British Muslim associations, mosques and schools”. The MCB, in turn, is affiliated to the Muslim Brotherhood, and released a statement on Wednesday announcing that, in their view, Ahmadis are infidels. One the same day, Mr. Shah’s killer confirmed he had slaughtered him for sectarian reasons. 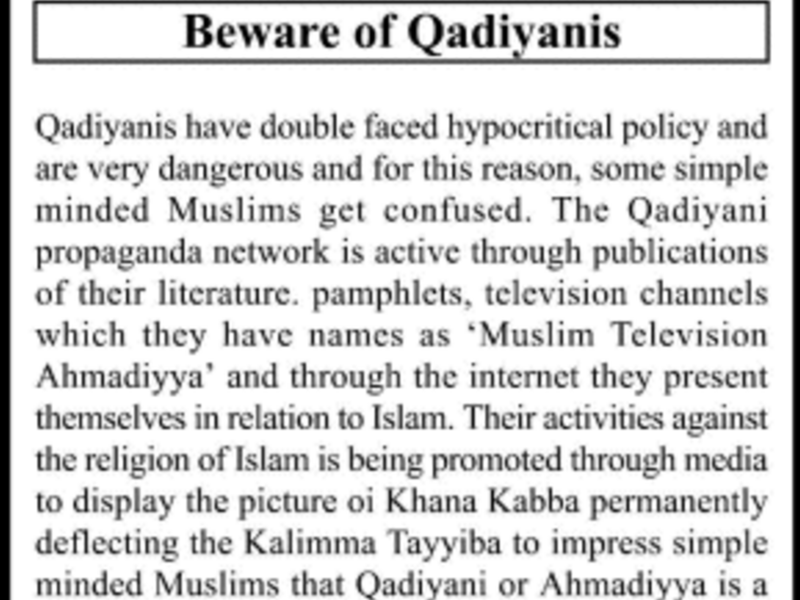 Several anti-Ahmadiyya leaflets produced by Khatm e Nabuwat are available to view here, calling on Muslims to “beware of Qadiyans [a derogatory term for Ahmadiyya]”, claiming to “expose their seditious infidel beliefs” which are “very dangerous”. Their monthly magazine, Laulak, specifically mentions anti-Ahmadiyya laws of Pakistan and declares Ahmadiyya belief to be heresy which should be punishable by death. One leaflet, seen by the IBTimes, describes different categories of “Kufr”, or infidel, and brands Ahmadiyya as “dualist infidel” who are “bent upon presenting his ‘Kufr’ as Islam” and “worse than an apostate”. In Mr. Shah’s native Pakistan, the national constitution has been specifically amended to officially declare Ahmadiyyahs non-Muslims. Meanwhile, the BBC took it upon itself to defend those who wish to deem Ahmadiyyahs infidels and apostates who are ripe for murder. Is there too much pressure on Muslims to accept Ahmadis as Muslims? Get in touch with @TinaDaheley with your views. The shocking literature was allegedly distributed outside Tooting Market in south London, on several occasions in 2014 and 2015, and outside the Khatme Nubuwwat Academy office in Forest Gate, east London on several occasions in 2014 and 2015. They have also appeared as recently as 2014 on the campuses of Kingston University, Westminster University, and University College London at an event held by the university’s Ahmadiyya Students Association. The University of Westminster was attended by Islamic State executioner “Jihadi John”, otherwise known as Mohammad Emwazi. A report last year found Muslim extremists undemocratically controlled a “hostile” Islamic Society there for years where men refused to talk to women. They had got away with it because of a fear of “Islamophobia”, the report said. In a statement, Westminster University spokeswoman Chiara Barreca said it was “not aware” of the leaflets, but “would strongly condemn any attempt to incite violence against another individual or community. University College London spokeswoman Ruth Howells said that after receiving a complaint about the leaflets “University College London Union acted immediately and the Sabbatical Officers at the time met with those involved”.